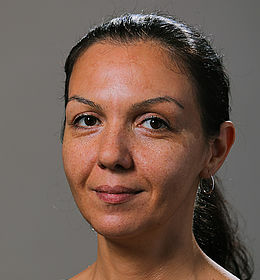 Galina Sapundjieva is responsible for the administrative support of the activities of the Law Program, including organization of events, such as conferences, round tables and workshops, maintaining the Law Program projects and contacts database, preparing project documentation and maintaining the Program’s Internet profile. She has participated in identifying NGOs in relation to developing the capacity of civil society for monitoring in the field of justice, freedom and security. She has supported the introduction and strengthening of the ombudsman institution on national and local level in Bulgaria . She is also taking part in the efforts for introducing e-tools for criminal cases management. E-tools for criminal case management within selected EU Member States, multilingual CD, Center for the Study of Democracy, 2011.